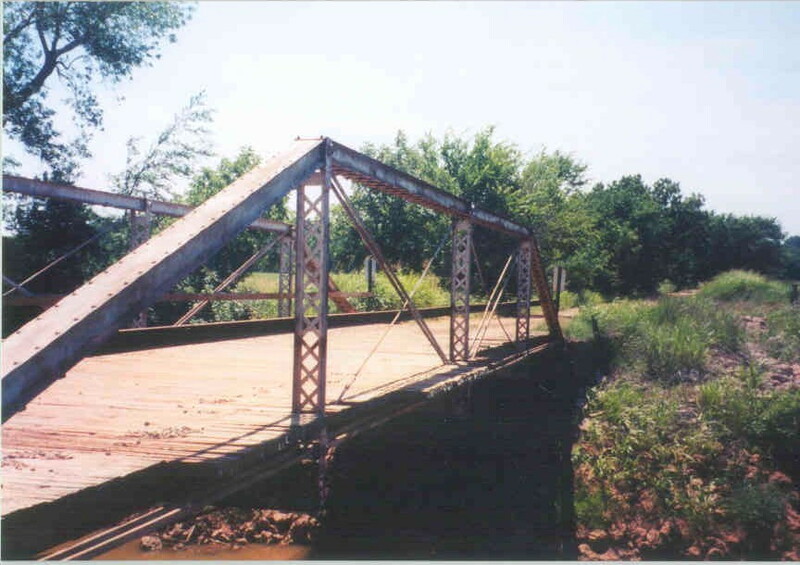 Clear Creek Bridge, Payne Co. 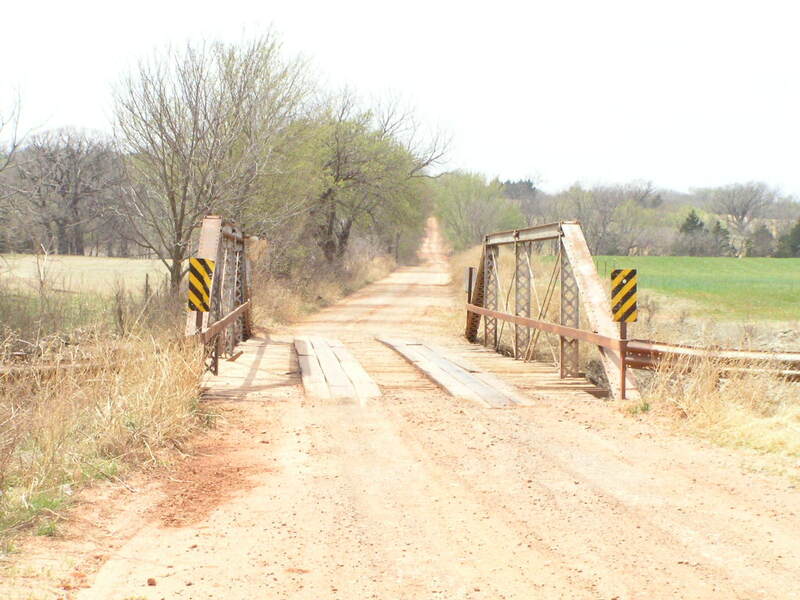 This bridge crosses Clear Creek about a half a mile upstream from where the creek dumps into the Cimarron. The bridge is on Eden Chapel Road(92nd St). The silver paint and deck look fairly recent. It was built in 1905 by the Midland Bridge & Iron Co., of Kansas City. The span is 80 feet in length. Above, an oblique view of the bridge as it looked in 2002. Below, a through view of the bridge as it looked in 2005. Above, a side view of the span from 2005. 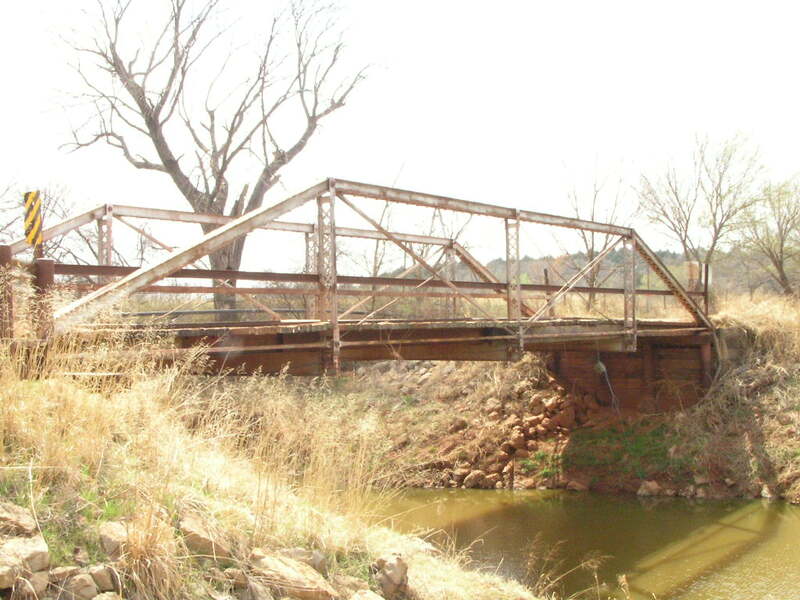 This is the oldest steel truss in Payne County.